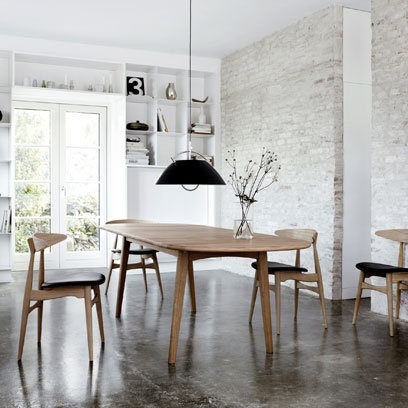 Long reserved for industrial flooring, polished concrete floors are suitable for private homes too. It is the new trend in flooring. It is true that once waxed, the concrete floor becomes one of the key elements of the decor. Regardless of the room or where it is laid, polished concrete flooring replaces advantageously the traditional tile or parquet flooring by offering a broad palette of colours and several choices of finishes (matte, satin, gloss). Both authentic and very stylish, polished concrete will be appreciated by all those who love a refined décor. 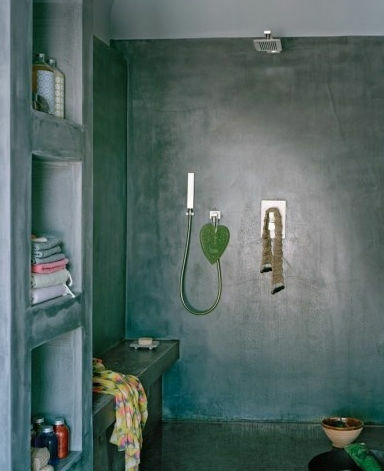 Polished concrete is a great idea for an industrial style loft. It’s very durable and waterproof once it has been sealed. It can laid over a former tiled flooring without the need of an expansion joint. Polished concrete is a mineral material that is not only aesthetically pleasing but also resistant to wear and tear. It creates a beautiful smooth surface which is soft to the touch. Contrary to conventional wisdom, polished concrete is not always grey. Today it can be found in many colour ranges. Polished concrete is ideal in the kitchen for the floors but also for walls, sinks, worktops. In the bathroom, it can be used for floors, walls, shower and toilet furniture. It is also suitable for wet rooms and basins. In all parts of the house, it is very versatile. It can also be used for stairs and raised dining or seating areas. It is better to consider this technique for surfaces over at least 150 m² and will need to be laid by a professional. Concrete flooring is suitable for new or renovated homes, but it must be empty and above all requires a 7 cm gap between the floor and the bottom of the doors. There are many different types and styles of concrete flooring available, interior design experts can also help you with ideas. First of all, there is a classic concrete layer and then a coloured quartz is integrated. In general there is fifteen colours to choose from. You can also have special effects, everything depends on the skills of the tradesperson and your choice. The concrete layer is then smoothed using a suitable machine. Fibres of polypropylene and anti-shrinkage additive may be added to the concrete mix to make it more flexible and reduce the risk of cracks, which can be a drawback of concrete floors. After a drying period between two weeks and one month, during which the concrete must be protected by cardboard or carpet, the surface is cleaned with an acid solution, water brushed so as to open slightly its pores and promote the attachment of protection products, and then rinsed with clear water. Then it is necessary to protect it by applying filler products or acrylic waxes. The longevity of this flooring depends on the maintenance quality. It needs to be swept dry after cleaning. Such flooring also requires regular maintenance, applying an emulsifying wax, dissolved in water. This is a technique known as “washed-wax”. With this type of flooring, care must be taken to reduce the risk of scratches and heavy impacts. The waxed concrete must especially be protected against cracks caused by furniture or objects with sharp feet or with sharp edges. Polished concrete is a material difficult to work with and requires the know-how of a good craftsman. However, if done correctly it can look very stylish and last for many years. This article was posted in Flooring, Home Renovation. Bookmark the permalink. Follow comments with the RSS feed for this post.Post a Comment or leave a trackback: Trackback URL.